Dexter on-premise stack washer-dryers are engineered to show up for work in even the harshest laundry environments. Featuring flexible controls and high quality materials, these space saving combination units are designed to help make you more successful. 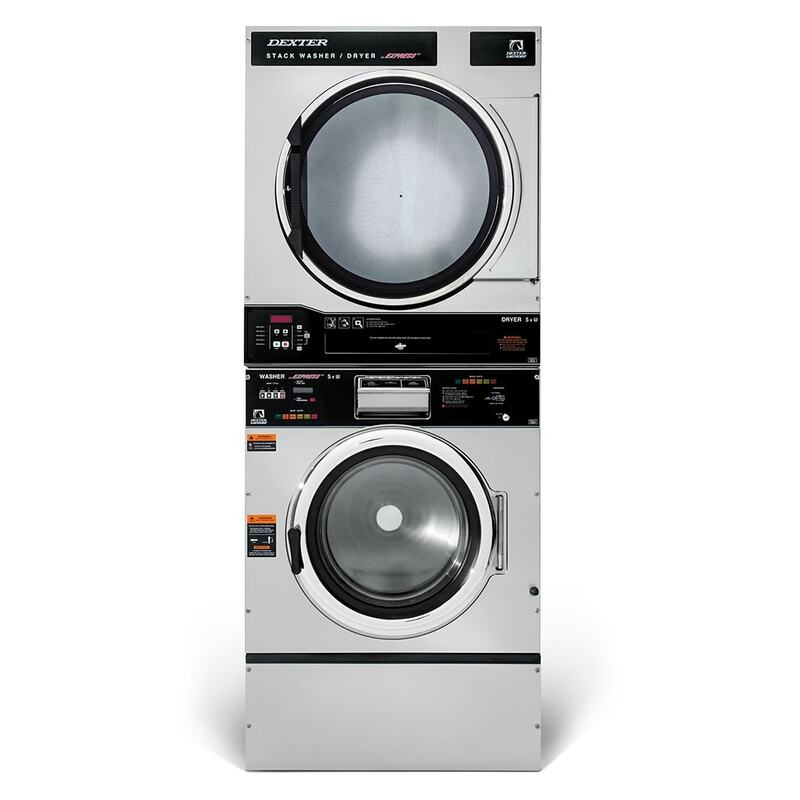 When your business depends on clean laundry, choosing the right equipment is an important decision. Our products will provide you the efficiency, flexibility, performance, and durability you need to be confident in your choice. With lifetime technical support and an industry leading warranty, you can be confident that we will stand behind every machine you invest in.